This time I want to speak about neon yellow. How hard is to pull off a neon yellow sweater for you? You either love it or hate it. One thing is known for sure, it's a perfect way to stand out in the crowd and make yourself statement in any place and any time. Believe me, even the most gloomiest days will appear cool to you, once you try this sweater on. Those ladies who want to attract men's eyes will definitely buy this top, as you can't walk past this sweater without taking a look on it. Mohair neon yellow sweater will ideally compliment your chambray shirt and washed blue jeans. Complete the look by adding stunning earrings and statement sunglasses. Are you sick of neon? No, really, tell me the truth! Personally, I hate all those neons. But once i see them combined with basic garments I change my mind. Keep in mind one simple rule: never overdo with neons, as I used to see lots of ladies in the streets wearing their shoes, bags and other accessories in bright neon colors. I think it's too much. 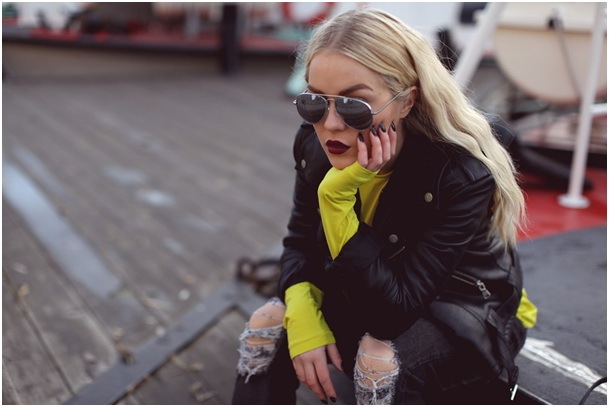 At first glance, yellow might not seem like a versatile shade, but once you start experimenting with it, believe me, you gonna find plenty of awesome ways to wear it. Personally, I love pairing it with simple, earth-toned and plain colored essentials. We all need fashion inspiration on how to wear such bold and bright colored top. Of course, there are simplest ways to wear this statement top, by simply adding tailored black coat, jeans and riding boots. 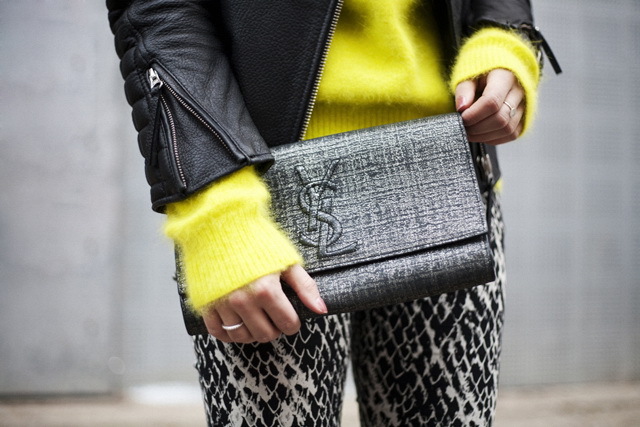 Anyway, I want to show you some of the best ways to style yellow neon sweater this year. I went to your website and I cannot find out how to purchase this gorgeous yellow sweater. I love this color yellow.